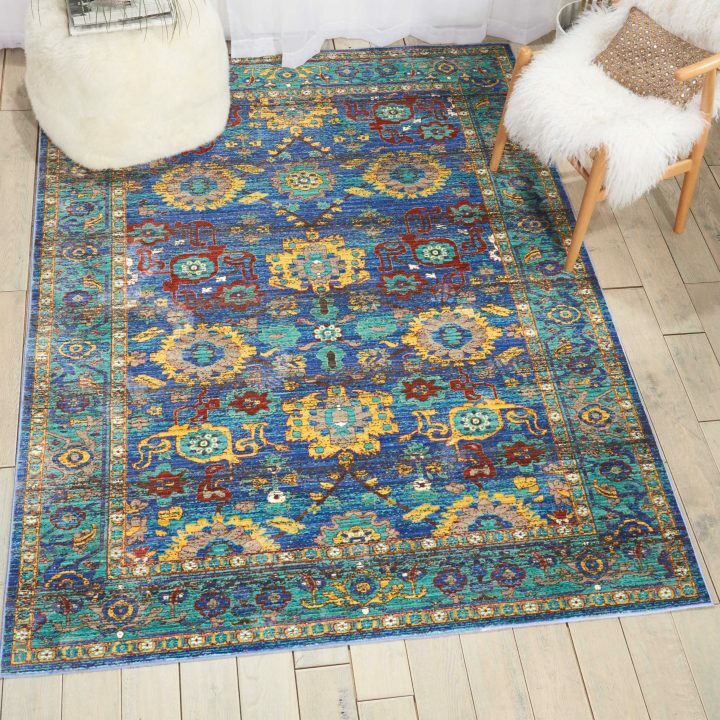 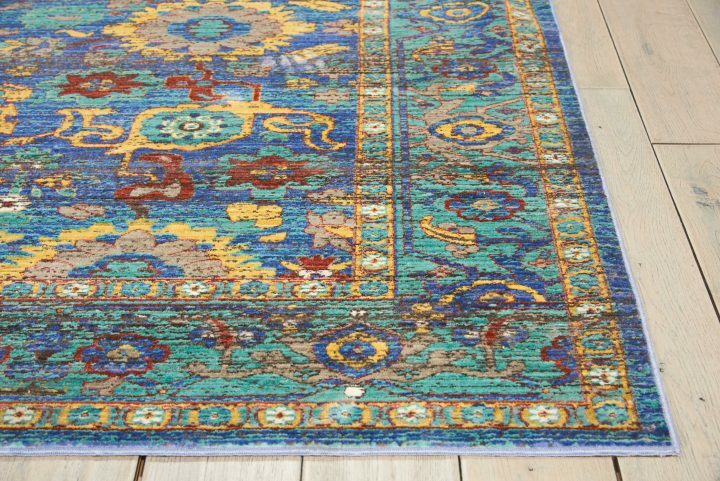 A playful primitive floral design shines in all of its glory when presented in gorgeous shades of blue, rust, jade and yellow. 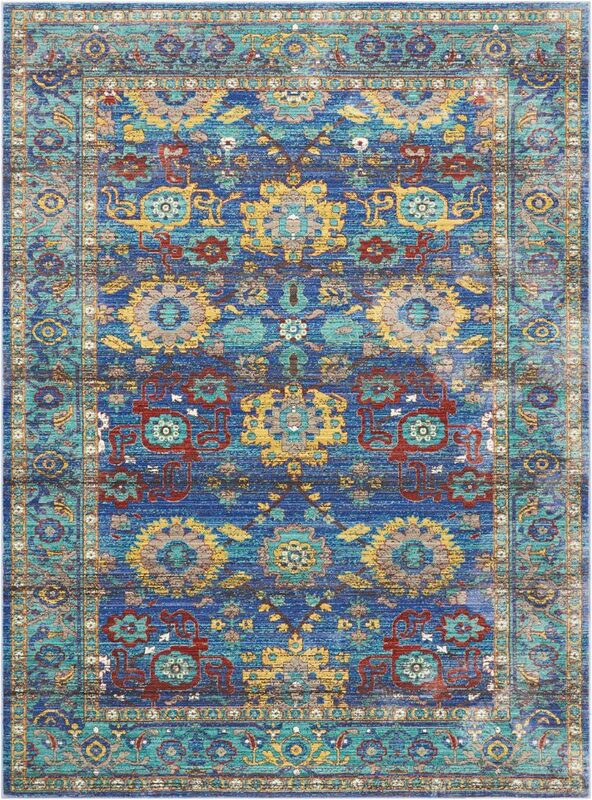 This dazzling Delmar area rug from Nourison is ingeniously power loomed from a premium 100% polypropylene for easy living and lasting beauty. 2'x3', 3'11"x5'11", 5'3"x7'3", 7'10"x10'6", 9'10"x13'2"